Alternating vocal and instrumental tracks with Jimmy’s eloquent keyboard talent and Pam’s rich vocals have evangelized at countless events throughout the years. Families all over will enjoy “Calvary Means Heaven to Me”. 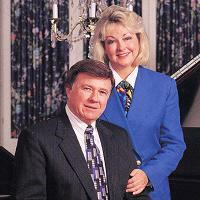 This husband and wife team has dedicated to the Lord through their sacred music.